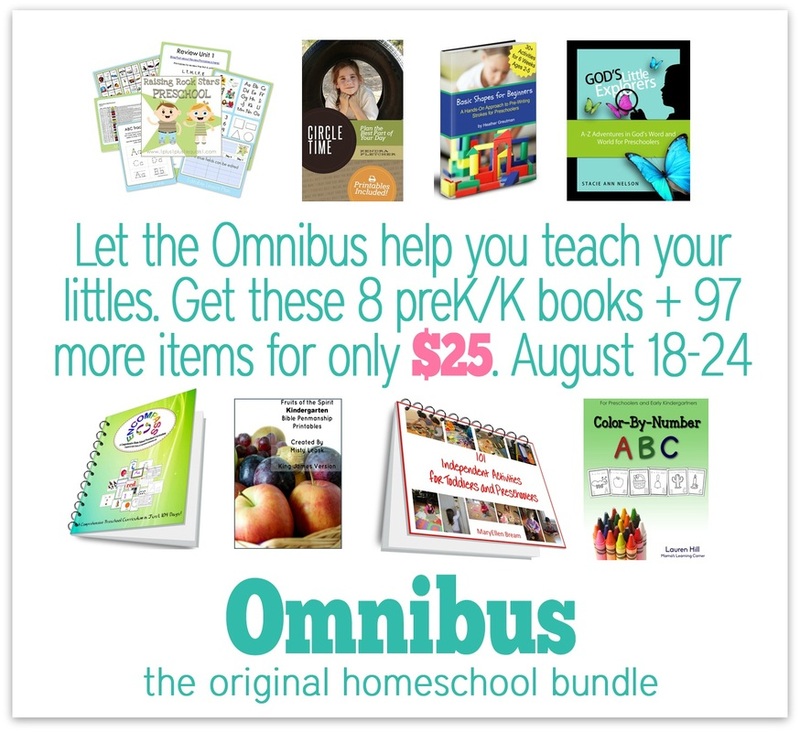 The Homeschool Omnibus is a digital stockpile of books to carry you through the school year with encouragement and practical how tos as well as a variety of curiculum. There are 83 eBooks in the collection, and 24 audio MP3's. The entire collection is only $25. The sale will last only seven days. It begins at 12:00am ET on Monday, August 18, 2014 and ends at 11:59pm ET on Sunday, August 24, 2014. Both PDF and Kindle format are included when applicable. See more details on the FAQ page. Gentle Shepherd's Picture and Writing: Older Ages is one of the ebooks in the Omnibus. Is there any other information I need to know before purchasing? Immediately after purchase you will be presented with download links. Your download links will also come in an email to the email address associated with your PayPal email. Make sure you have access to that email before you purchase. The download links for the eBooks will be valid only through September 25, 2014, so you must be sure to download all files before midnight ET on that day. Please remember to back-up your files as well. iHN and the authors cannot send you copies of eBooks that have been deleted or lost. Each of the eBooks in the Omnibus is copyrighted by the original author. Your purchase does not entitle you to share the files or upload them anywhere online where others can access them. See more details on the FAQ page. The Homeschool Omnibus is a project of iHomeschool Network (iHN). They have organized this sale to offer an inexpensive way to help with beginning-of-school year needs.